If you’re going to dress your windows, why not put them in something pretty? 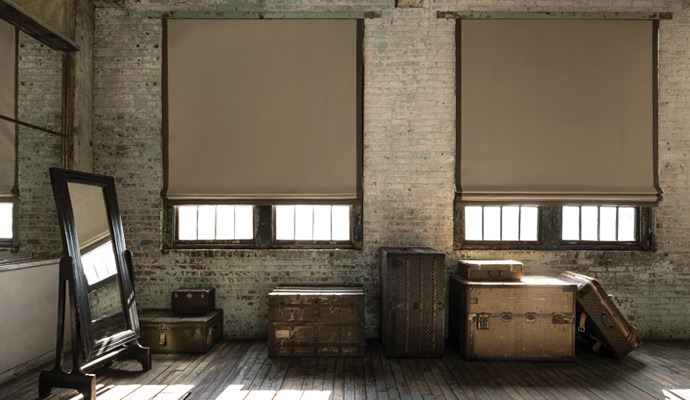 Windows love our roman shades and here’s why: each roman shade is meticulously handcrafted from the finest fabrics to fit the exact specifications of your window – like a custom dress or suit! But which of the 6 styles is right for your window(s)? Let’s take a quick look at the unique style benefits of each. Sleek and beautiful, no matter the fabric choice. 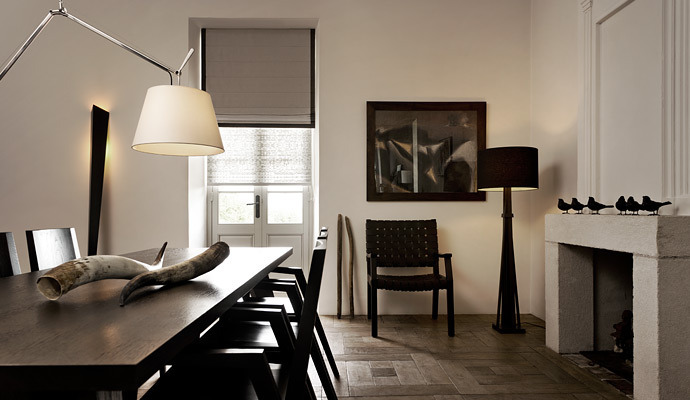 The flat roman shade is our most popular style, mainly due to its sleek modern aesthetic. It’s also highly functional, meaning it’s easy to operate (raise and lower) and requires little-to-no styling or adjusting of the fabric. If you like the look of the smooth front, and appreciate a neat stack when your shade is raised, then the flat roman may be your shade. 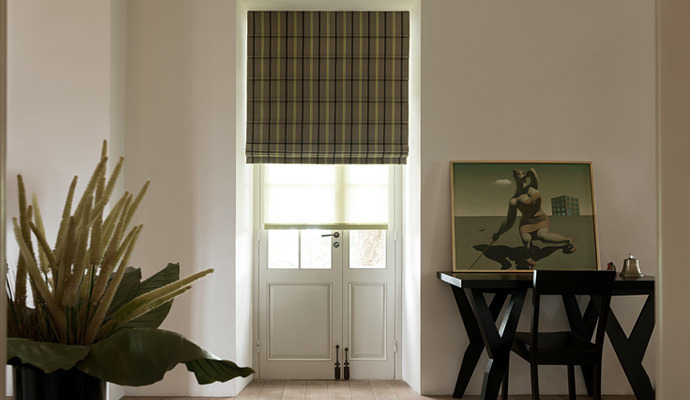 Most of the time, when people picture a roman shade, this is the style they’re seeing. 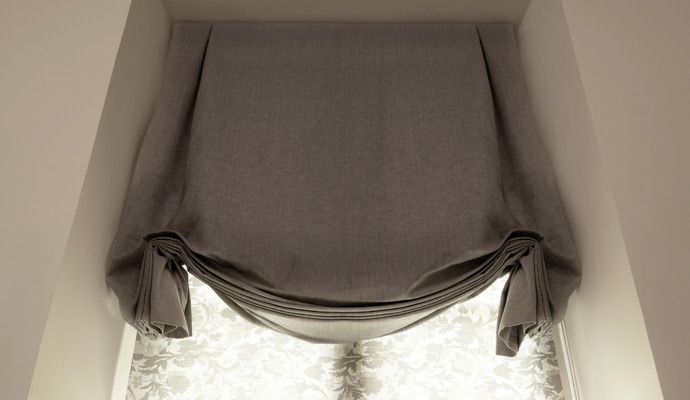 The cascade roman shade offers a timeless look thanks to its hand-stitched seams and sewn-in aluminum dowels. This attention to detail and expert craftsmanship creates the horizontal seams synonymous with the cascade style, and accounts for the shade’s sleek appearance. Similar to the cascade roman but with a few important distinctions that make this style stand all on its own. Inspired by traditional Japanese Shoji designs, the Aventura roman shade wears its dowels on the front for an incredibly unique look. It takes an experienced artisan with significant roman shade experience to hand-stitch the 3/8″ pockets that accommodate the aluminum dowels. The functionality is excellent and the look is striking. The relaxed roman is beautifully constructed to appear, well, “unconstructed”. 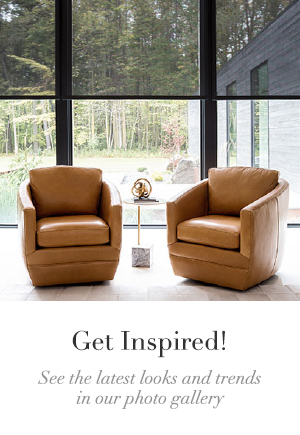 This laid-back appearance is mainly decorative and may require some styling to get it just so, but how can you not love that soft gentle curve? You can almost hear it saying, “Casual Friday? How about casual every day?”. 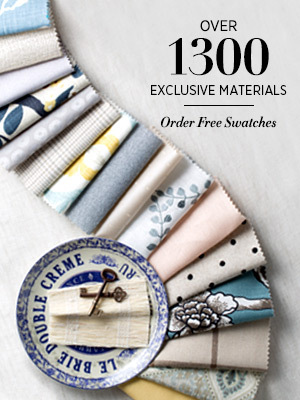 A relaxed roman will really showcase the fabric it’s made from, so be sure to choose something you love. The charming tulip shape? 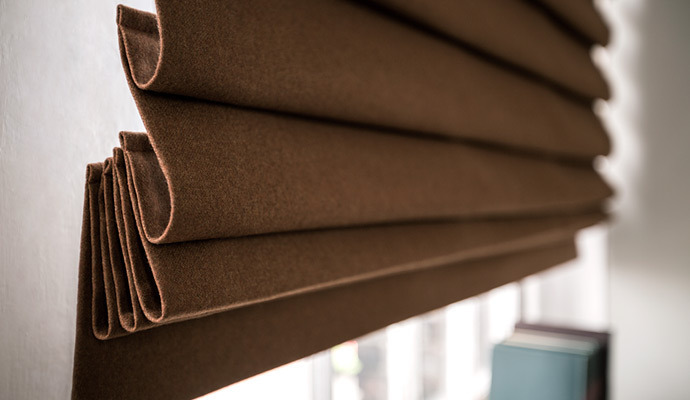 That’s the result of carefully handcrafted inverted pleats along the headrail. This ensures a lasting look and shape – we wouldn’t want your tulip to wilt! The tulip roman is primarily a decorative style and not ideal for frequent use, but even as a stationary treatment it makes an elegant statement on any window. Sure to turn a few heads, the pleated roman is bold, beautiful and attention grabbing. The beautiful cascade effect is produced by uniform hobbled folds spaced 4″-5″ apart, which also guarantees a neat stack when raised. 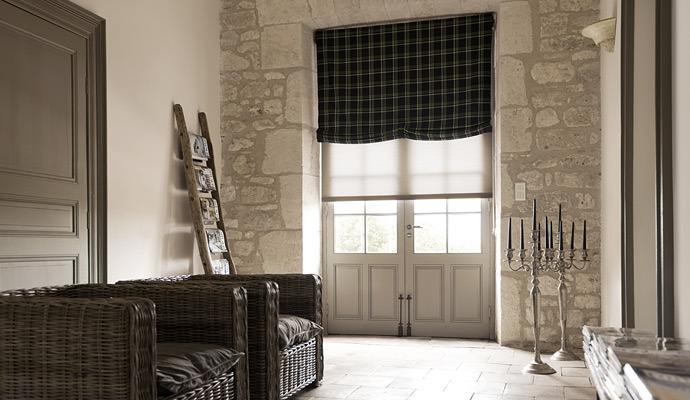 If you have any questions regarding our custom roman shades, or would like a little help selecting the perfect style for your home, we’re here for you! 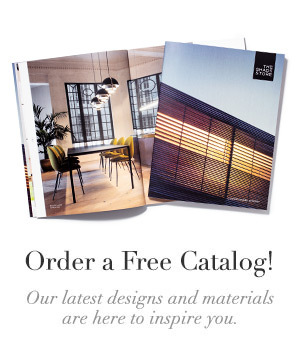 Just give us a shout at 800.754.1455 or email design@theshadestore.com. Let’s work together to customize something you’ll love.